BoDean Company is a premier supplier of the highest quality aggregate material of all shapes and sizes in the North Bay. Rip Rap / Boulders is one of the largest products in size produced by BoDean Company and forms an integral part of erosion prevention and control projects. What exactly are rip rap / boulders? Rip Rap, also known as Riprap, Rip-Rap, shot rock, rock armour, boulders or rubble, is rock or other material used to armor shorelines, streambeds, bridge abutments, pilings and other shoreline structures against scour and water or ice erosion. Rip Rap can vary in sizes and ranges from 1-foot to 5-foot. It is large, loose stone used to create a foundation or lining often times to assist in the prevention of erosion. These large stones can be weaved together in a layer to create a barrier against constantly flowing waters. Though it is crushed just like other aggregate material and can vary in size, Rip Rap remains a fairly large stone in comparison to other aggregates. Its large size makes it a practical and desirable material for various applications. How is rip rap used? Rip Rap / boulders can serve many purposes from erosion prevention applications to landscaping. Gabion Walls – The word gabion is taken from the Italian word gabbione, which means “big cage”. Simply put, a gabion wall or basket is large wire baskets filled with hand placed rip rap or boulders to create a retaining wall of sorts. Gabion walls can be set in place for temporary flood walls, noise barriers or to direct the flow of flood water from a vulnerable structure. 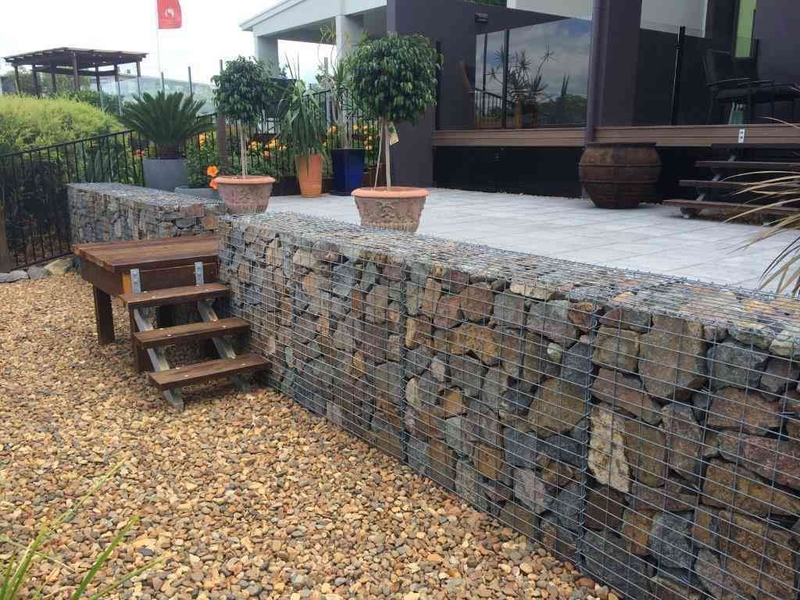 Gabion walls are also becoming a popular choice in landscape design. V-Ditch Lining – A v-ditch is a ditch dug in the shape of a V that can be found along long, steep driveways as a place for water to run. 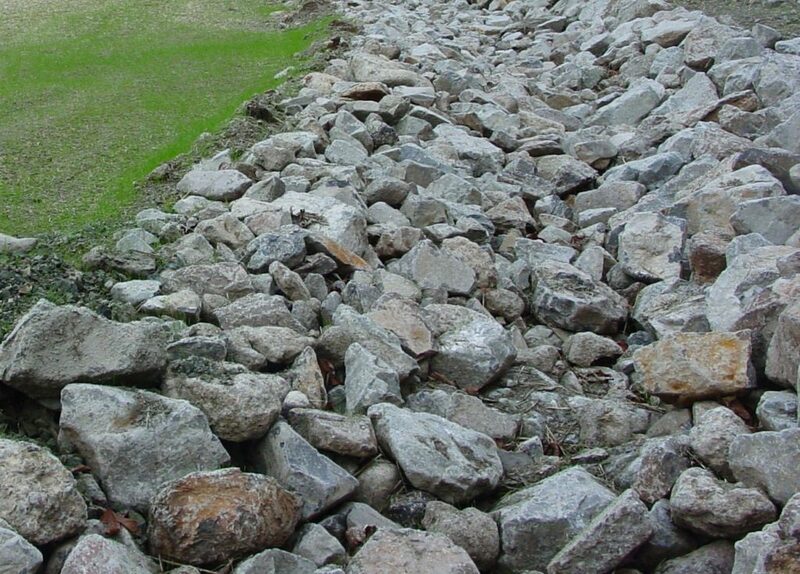 Using Rip-Rap or boulders to line a v-ditch allows the water to run off in a way that will not erode the earth. Bank Stabilization – According to the Westmoreland Conservation District, Rip Rap is the number one used product for stream bank stabilization because of its known success. Choosing a stone size that is immovable by the passing waters will help keep banks where they belong. 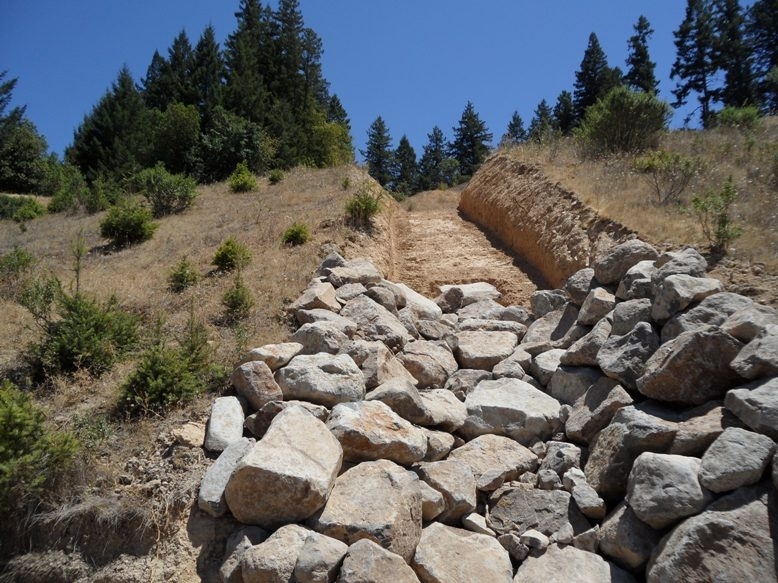 Erosion Control – Rip Rap and boulders can be used in erosion control because the large stones serve as protection for the soil from continuous runoff. Landscaping – Rip Rap is becoming a popular choice for upscale landscaping projects. 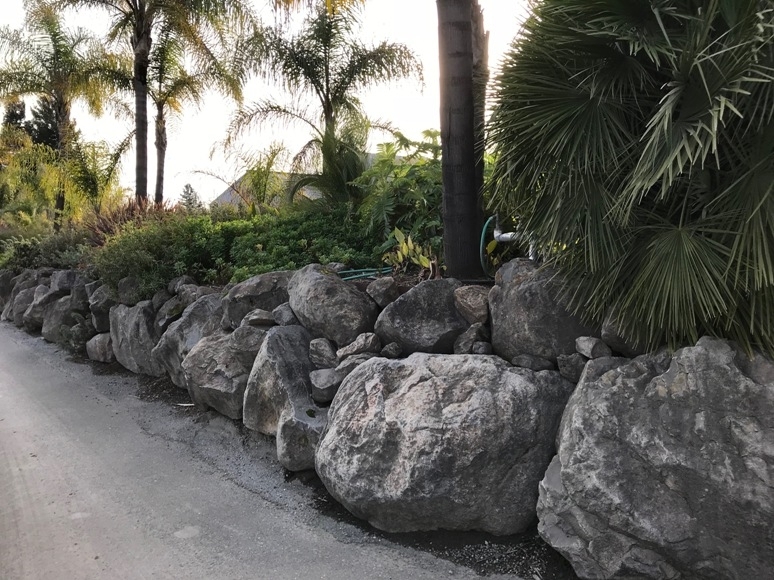 From man-made waterfalls to retaining walls and gabion stones, it is not uncommon to see these large stones surrounding homes and providing a unique accent to a backyard. Driveway Lining – Another way Rip Rap can be used is as a barrier or lining on roads with steep drop offs for added protection. BoDean Company aggregates are fully in compliance with all local, state and government regulations and standards. Extra care is placed in quality, environmental and safety aspects of daily mining and production at BoDean Company. For more information on specifications, contact a BoDean representative today or find out more about environmental standards by reading about our Sustainable Practices. Since Rip-Rap / Boulders can vary drastically in size – it easily ranges from 1-foot to 5-foot – please do not hesitate to connect with BoDean Company if you have any questions related to your projects, whether erosion control or landscaping. For a quick connect or to get your questions answered, please call us at (707) 576-8205 or click here to request a free online quote.